The availability of clean drinking water may become an increasingly pressing issue. It is already a critical problem for many people right now. 29% of the world’s population lack consistent access to this supposedly simple resource in their own homes or communities. In fact, clean water is already so scarce that the World Health Organization (WHO) now defines even “basic” water services as those located a 30-minute walk away from a given individual’s typical residence. Nevertheless, hundreds of millions of people lack even this level of access to water. Contaminant-free water may become a major problem in the near future. Some researchers at the WHO estimate that half of the world’s population will live in “water-stressed” areas by the middle of the next decade. Furthermore, clean water is not just needed for humans to drink - pathogen-riddled water can defeat the purposes of washing and cleaning. The World Health Organization also says that as many as 35% of the healthcare facilities in disadvantaged areas lack water clean enough for hand-washing (as well as soap). Up to 19% of them lack appreciable sanitary conditions. In addition, approximately half a million people die as a result of consuming water containing bacteria associated with enteric diseases every year. The development of applications and inventions that address human needs for acceptably clean water is a rapidly growing area of scientific study. This emerging discipline has also resulted in the solution of photocatalysis. It involves innovative leaps of nanoengineering that use the abundant energy from sunlight to separate water molecules from contaminants. These photocatalysts have demonstrated efficacy in a number of studies. However, considerable downsides to photocatalysts and their uses have also been identified. These novel chemicals are often metallic in nature. Therefore, their accidental release into the water supply could become a source of pollution in their own right. This is due to the possibility that the potentially reactive metal ions produced as a by-product of photocatalysis may escape from a suspension of nanoparticles. 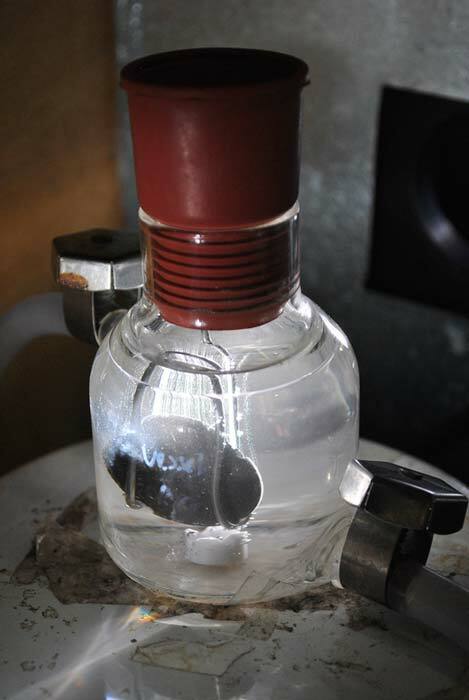 Accordingly, further research has resulted in the development of non-metallic photocatalysts. Unfortunately, they too have been shown to be less effective than their forebears, often due to the reduced energy bands in which they operate. Nevertheless, the solar-driven method remains one of the most eco-friendly and sustainable solutions to humanity’s growing water worries. Fortunately, this newest form of metal-free photocatalysis has been reported to be the best one yet. Photocatalysis: Is Graphene the new Metal? This new system has been developed by researchers collaborating across the Chinese Academy of Sciences’ Institute of Process Engineering (IPE) and Yangzhou University (YZU). It consists of a novel substance called graphitic carbon nitride (g-C3N4). Like many forms of graphene, this form also exists in a two-dimensional sheet of carbon molecules, although it is doped with nitrogen atoms at strategical intervals. 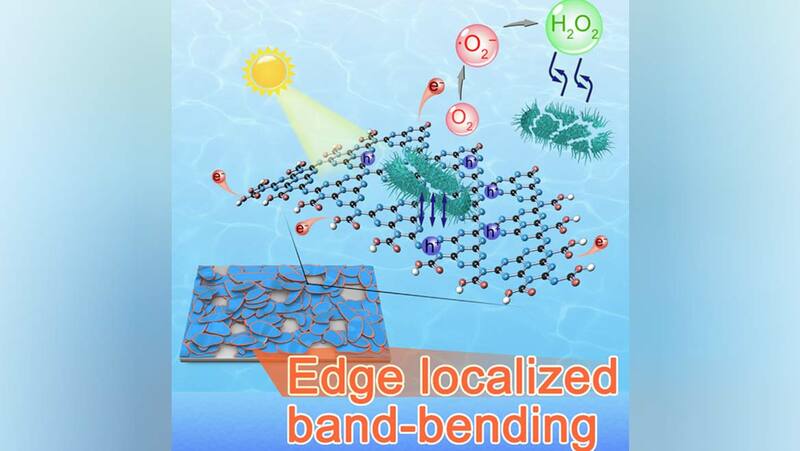 This addition raises the energy band with which the g-C3N4 can isolate contaminants while using solar energy to separate water into oxygen and hydrogen molecules. In the case of g-C3N4, this part of the process also drives freed electron-pairs to the edge of the nano-carbon sheet in question. The YZU/IPE scientists claim that this system resulted in the 99.9999% decontamination of water samples following 30 minutes’ worth of catalysis in response to solar light exposure. The group also asserted that their new system exhibited “first-order disinfection” that was five times greater than that associated with the most efficient metallic photocatalyst currently available. The first-order clearance was reported to use only 10% of the total g-C3N4 load in a given sample. This system has the advantage that its catalyst material should be relatively abundant. Furthermore, another recent breakthrough has also made it easier to get at. These findings are published in a February issue of the journal, Chem. Should its claims concerning the efficacy and safety of the new photocatalyst prove true with further validation, it may be the solution, so many of us are looking for, to provide clean water of the future. Furthermore, the researchers of the study have noted that, unlike other photocatalysts, the g-C3N4 can form membranes on substrates; therefore, it may be linked to reduced risks that it may escape into the water supply itself, thus becoming an ecological problem. Was The Moon Hit By A Meteoroid During The Recent ‘Super Blood Wolf’ Eclipse? Mind Reading Technology: One Step Closer?